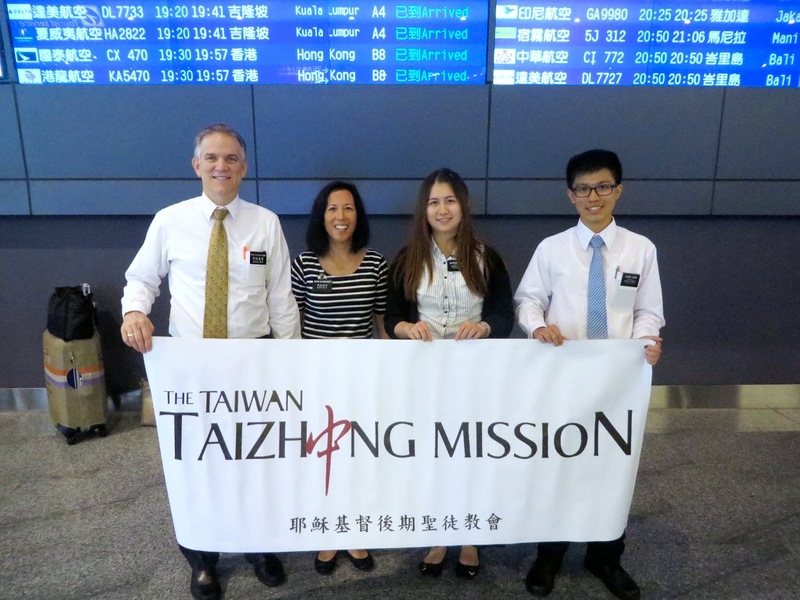 Taiwan Taichung Mission, 2013-16: 9-12-14 New Arriving Missionaries! Unfortunately, we discovered at the last minute that our new missionaries were scheduled to arrive from the Philippine MTC during the week we were in Hong Kong attending the Mission Presidents' Seminar. So they were delayed a couple days and re-scheduled to arrive in the airport the same evening we landed! As our schedule was from one end of the island to the other that weekend, they had an abbreviated orientation. Fortunately, they were able to forego some of the orientation, i.e., processing alien resident cards and introducing them to Taiwanese culture!